← The New York Times Declares Graphic Novels to be ‘Summer Reveries.’ Huh? GUN is a new superhero crime noir comic, written and drawn by Jack Foster. 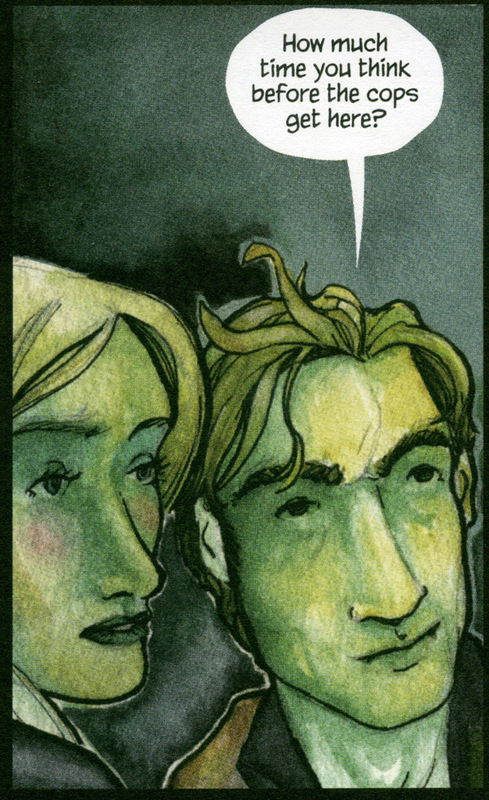 Both the deadpan humor and light touch to the artwork remind me a bit of Matt Kindt. This is a story with its fair share of irreverence while still sticking to the reality that bullets and punches hurt, especially bullets. The premise here is that of a number of comics that take superheroes off the grid: in a world overflowing with superheroes, and super villains, is anybody just plain normal? The search for normalcy hangs heavy over our super characters. Maybe one last bank heist, so to speak, would solve everything. Just run away with the loot and enjoy margaritas on the beach. I love the quiet grace to this comic. Our hero is not a hero. Actually, he’s technically a villain. To listen to his story, you’d think he’s just some mixed up kid with superpowers. You can call him, Twist. That’s what the media calls him. It wasn’t his idea. That’s just how he moves. He would have preferred “something cool like King Crimson or Doc Hangover.” Do you get a sense here of silly fun, of bubblegum superhero mythos? It is fun and it works. I’ll tell you something, covering comics is built on one work of comics at a time. It can’t just be the big two publishers all the time, although there’s much to cover there as it is. And it is fun to see how iconic superheroes going back close to a hundred years still remain relevant. In fact, Foster is tapping into the swagger and pulpy goodness of yesteryear. Anyway, covering comics is very similar to covering any other art form. As a reviewer, I look for new talent right along with checking out established names. What’s great about Foster’s work is that he’s having a blast. 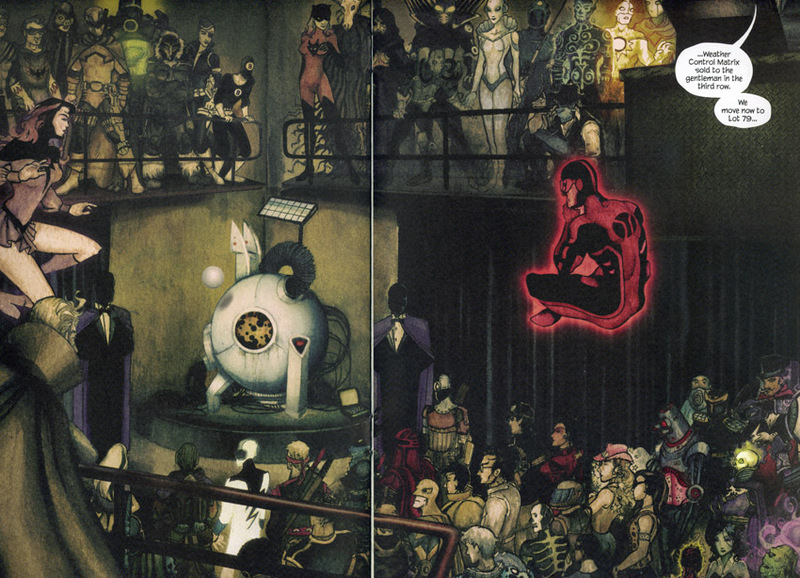 His love for the old school approach is apparent in every hand-drawn and hand-colored panel. This is a character-driven narrative with room for subtilty and wry wit. This is a beautiful comic, hands down! Rounding out the talent is the lettering of Greg Sorkin and the editing of Nolan Smith. 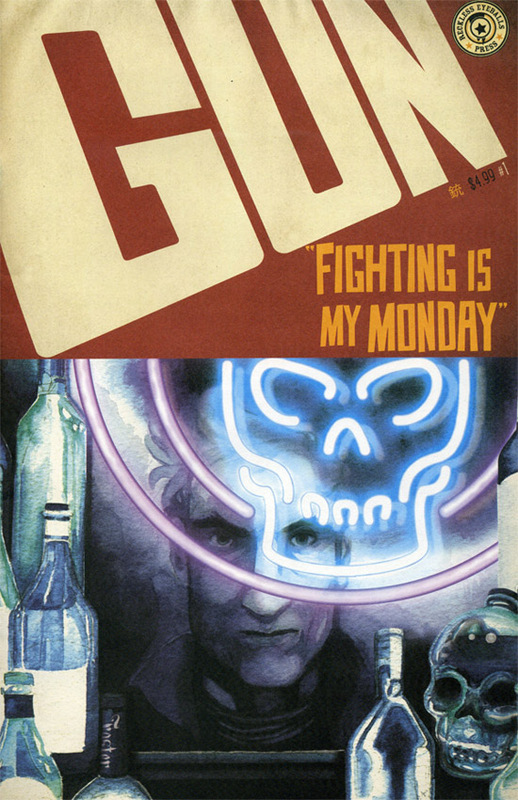 This is the first issue of GUN, entitled, “Fighting is My Monday.” The next issue will be entitled, “Strange Bedfellows.” For more details, and to preview the first issue, visit our friends at Reckless Eyeballs right here.